Full-color illustrated moments from daily life, captured in miniature detail, offers a beautiful reminder of the joy that can be found in even the most ordinary of days. These 52 charming, miniature, tempera-paint images of mundane items are accompanied by mindfulness meditations to offer a new perspective on gratitude. During 2017, nationally recognized artist Brooke Rothshank created a weekly piece of art and a short meditation to accompany it. Painted in miniature, the images invite the viewer to slow down and see their world differently. Each painting was rendered by the artist in a slow and methodical way, contradicting our cultural need to consume more information at a greater speed. 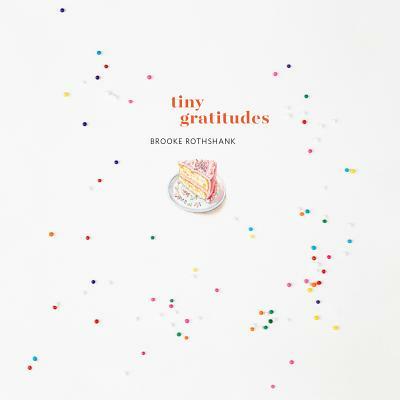 Brooke Rothshank has been working as a studio artist since 2002. Her work as a miniature artist has been exhibited around the country and she has illustrated three children's books. Brooke's painting work has been exhibited at the Penland Gallery, the Andy Warhol Museum, the Chicago International Miniature Show, and elsewhere. She is a member of the Society of Children's Book Writers and Illustrators and the International Guild of Miniature Artists. She has regularly taught miniature portrait painting for the International Guild of Miniature Artisans School in Castine, Maine. Brooke lives with her husband Justin and their three kids in Goshen, Indiana.